When people think of bureaucracy they often imagine the DMV. And it often deserves its reputation. I think there’s a 1% chance that all of the offices have been infiltrated by foreign operatives with the long term goal of undermining American faith in government. Our own Central Intelligence Agency distributed a guide for accomplishing exactly that (see page 28). But, in my role as slight-apologist-for-everything, I think our cultural version to it throws some baby out with the bathwater. This was my (weirdly abstract) take away from a pair of books that I have read recently which seem extremely disconnected: Killers of the Flower Moon and Bad Blood. The first is about the cold blooded murders of Osage Native Americans for the purpose of stealing their reservation’s oil riches. Some of victims were essentially killed by their own white spouses – a betrayal shocking even in the context of a horrific history of mistreatment. The second is about a blood testing company Theranos, which lied to investors, regulators and ultimately patients about their ability to detect disease. Both stories are written chronologically, giving the reader a growing dread as suspicions slowly solidify into horrifying reality. In both cases, the eventual scale of the harm overwhelms even those who initially started looking into it. But there are more subtle connections between the two books, even though the Osage murders took place nearly 100 years earlier than the Theranos you-can’t-quite-prove-that-there-was-manslaughter. For the Osage, it was the local law enforcement, and townspeople who shrugged their shoulders when no progress was made on the case. For Theranos, it was the many executives who hindered and overruled their own due diligence processes. Processes – that’s where the bureaucrats start to look awfully attractive. They really, truly, don’t care about you. They don’t care if you’re an oppressed minority, or a charismatic Silicon Valley founder. There’s no upside to treating anyone differently, no glory in being the one who approved or denied some specific application. Just a stack of papers and a vague fear of being fired for breaking the rules. Of course, they’re not all perfect. Some are susceptible to bribes, or become petty tyrants. But every system is made up of components. And a system that rewards by-the-book conservatism 99% of the time is going to be made up of people who are, as individuals and as a culture, pretty resilient in the face of fishy behavior. So let’s definitely have some elements of the Wild West in our research labs and movie studios. Even in our companies! But when there’s pressure to ignore age-old processes of justice, regulation, policy, or even democracy “just this once”, it’s worth understanding why our society found it worthwhile to build them up in the first place. As a child, the word “science“ evoked image of making volcanoes out of vinegar and baking soda. Of course, I enjoyed making the ensuing mess as much as any kid. But I think it is a tragedy that I (and maybe you too!) finished school without realizing what science really means. We followed the volcano worksheet, and got exactly the result we were promised. It was like a cooking recipe, with a paragraph about chemistry at the end. We never got to say “I wonder what would happen if I tried it that way?“ Nor did we ask about the principles at play. At the root of it, that’s all scientists are doing: Looking for universal patterns and principles. Does everything move towards the center of the earth? The specific techniques vary based on what is being measured, but all scientific disciplines share the basic cycle of brainstorming a theory, designing an experiment and analyzing their data. As much as astrophysics is fascinating, I don’t have the money for a radio telescope. As much as cancer research is important, MIT wisely prohibits amateurs from messing around in their labs. But smaller things matter, too. Maybe they’re not life threatening, or only impact a tiny percentage of the population. But I think that we’re all “a tiny percentage of the population” in one way or another. If you’re frustrated that nobody’s figured out the universal solution to your problem yet: Good news! You and your sample size of 1 are uniquely well positioned to do some SCIENCE. And, as anyone with a mosquito bite can tell you, nothing is so motivating as your own itch. The British Royal Society’s 358-year-old motto is Nullius in verba, “Take nobody’s word for it”. Quantified Self says that you do not need to rely exclusively on an expert or even a book to make your decisions. You can brainstorm a hypothesis, design an experiment, and analyze the data – all by yourself. If you don’t get the outcome you want, just run another! It doesn’t have to be complex, and most experiments that I’ve seen people do are virtually risk free. Nor does it invalidate expert advice. In fact, one of the benefits of experimentation is that you come into conversations with experts with much more knowledge (and confidence!). Many of my most successful experiments have been in collaboration with doctors and other medical professionals. Whether it’s managing an ache, improving my personal productivity or even deciding on my retirement plan, the scientific mindset has enabled you to systematically develop understanding and make progress in life every day, and I hope it can help you too! One way to narrow down the list of medical professionals that I could go to is by looking at what my insurance will cover. This is pretty compelling, since it offers a chance that my out of pocket expenses will be lower. It’s a perverse indication about the healthcare system that this is just a chance, between random denials of coverage, and things like 10% co-insurance on services that cost 15x as much as they should. Massage Therapist: Wish I’d checked here before paying for one last year! Naturopathy: I’m surprised that Aetna is covering this. For all the (often justified) flak that insurance companies get, there’s something to be said for having a voice in the system that says “I really need to see some statistical proof of effectiveness before subsidizing this treatment”. My feelings about naturopathy are here. Not only do they never postpone my appointment, they always try go get me in as fast as possible. This isn’t going to help me find the relatively rare approach that I’m looking for. The next step is going to see if any of them have blogs or other outlets where they discuss their philosophy and see if they think about things besides weight loss, regularly consider the medical literature, and generally appear to think critically and flexibly. UPDATE: I’ve done that for everyone within a 3mi radius. People are pretty non-specific, saying things like “helping others develop a healthy relationship with food and reach their health and wellness goals” (LinkedIn) While I’d love to find someone who’s tweeting an in-depth literature review around a relevant set of symptoms, the realistic signal that I’m looking for is that they self identify as focusing on scientific and quantitative approaches. Barring that, just some specificity would be great. Here’s a good example: “My expertise & passion is in the prevention and treatment of diabetes.” (LinkedIn) Not a fit for me, but I much prefer to come to a crisp ‘yes/no’ than the endless ‘meh’ that the previous example provokes! One of them had a website full website, though it was last updated in 2015. She referenced going to a conference at Harvard, which is the best that I’ve found so far. I wish that I had something better to go on, but that puts her well ahead of the pack, so I’ve reached out. UPDATE 02: I went to her and it was pretty good. No breakthroughs, but I will try out a few of the things she suggested and go back in a month or two. Should you go to a Naturopath? This ended up being shorter than originally envisioned. My answer is: No, unless a specific course of treatment has proven effective for someone whose judgement you really trust, is extremely low cost/risk, and is not replacing more widely accepted treatment. Broadly, anyone who defines themselves as one. 17 US states also have a licensing system, and there are a handful of schools that are accredited to teach it. These schools teach some things which I am willing to have an open mind about, like massage therapy and dietary advice, but it also teaches things which are widely discredited like homeopathy. Worse, they are linked to the anti-vaccine movement (more here). The schools and professional bodies have also reportedly behaved in ways that suggest less of a “Let’s rationally investigate and debate these alternative approaches which could have value” and more of a “Let’s squash the non-believers” mentality. I came in willing to give them benefit of the doubt about being honest, if sometimes credulous, truth-seekers. More details here. I’ve never been so jubilant to see custard apple (score = 0.00147) in my terminal window. It meant that I had finally classified an image using TensorFlow on my brand new GPU. Despite my confidence as I sat down with the visually appealing official guide, I found the process to be time consuming and frustrating. Based on the number and diversity of issues I saw others having as I Googled (actually DDGed) around, it looks like I’m not alone. As the beneficiary of their hard won experience, I wanted to contribute some of the things that I learned in the process. I’m going to experiment a bit with the structure, alternating between abstract and specific thoughts. The value of specific thoughts is intuitive, but worth illuminating: None of this article has any value if it doesn’t help you, the reader, do something differently. Not “change your viewpoint” or “deepen your understanding”, but literally tap a different sequence of keys on your keyboard than you would have otherwise. Directly saying “Type this, not that” is the shortest path to this goal, and shorter paths are less likely to be waylaid. 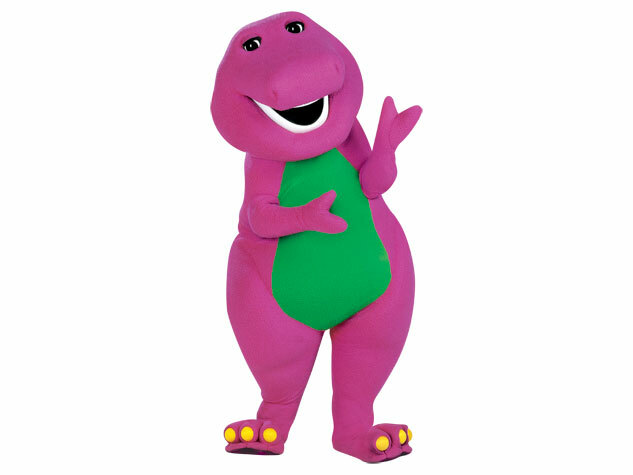 Unfortunately, as Barney the Purple dinosaur tried to warn us, we’re all unique in our own way . This is mostly a good thing, but it can make it difficult to share advice. If nothing else, simply copying my .bash_history would start to fail as soon as you got to paths starting with `/home/mritter/`. You’re smart enough to trivially take that, abstract it up to “He means his home directory” and granularize it back to `/home/jsmith/` or whatever. You’re smart, you could do this, but there’s no reason I should make all of my readers perform that same first step, particularly for less obvious situations. and restarting. I could then confirm the recognition of the GPU with `lshw -C video`. I tried other things beforehand (the probably-relevant parts of which will be detailed below), but I can’t know whether they were critical to this final bug or totally separate. Because the guides that I was reading were a few months old (which is years in internet time, and centuries in Deep Learning time), I assumed that I should just use the latest version of each suggested library or driver. This assumption has served me well for dozens of previous installation processes, but it failed this time. Perhaps I should have been more suspicious because of the unusual cross-corporate nature of the situation, or maybe you just win some and lose some. I won’t get into all of the other instances where a minor deviation from the advice cause cascading issues, but it was an important reminder that “extremely similar” configurations are not always good enough. Specific: Be careful with CUDA 9.1! The first major issue that I identified after trying to follow this comprehensive guide is that I’d installed CUDA 9.1 instead of 9.0 I assumed that since it wasn’t a major version number, it would be fully backwards compatible. To its credit the official documentation mentions the correct version number, but some of the commands it suggests default to the more recent version of various libraries, which have presumably changed since it was published. This short video does a good job of outlining the small changes you need to make for it to work. Note that you can get away with 9.1 if you build TensorFlow from source. But that sounded like opening up a shipping container of boxes of cans of worms, so I didn’t go down that route. I’ve always had a romantic notion of what it would have been like to work with steam engines during the Victorian age, or airplanes when they were new. New records being set every day! Limitless opportunity! …And frustrating setbacks caused by obscure parts! The Wright Brothers, for example, had attempted a flight before the one which went down in history. It took two whole days to repair the ‘minor’ damage that the machine suffered, so that they could make their successful attempt. Their inspiration, a world famous glider pilot named Lilienthal, had (over the course of his 5 years in the spotlight) spent just 5 hours in the air. About half a workday actually doing the thing he was world famous for, the rest of the time handling logistics. Good user experience fades into the background, and it’s easy to forget how hard and complex things are. When you’re at the bleeding edge, there’s nobody in change of making your experience pleasant, or even guaranteeing that what you want to do is even possible. When you’re lucky enough to find a guide, it usually assumes that you have considerable experience, which will let you fill in the gaps. For example, when was the last time someone digressed from their Stack Overflow answer to clarify “sudo means that you have to type your admin password”? That’s just a common denominator on that website, as are hundreds of other little bits of knowledge. Somehow our computing culture has come together on some de facto curriculum that lets most people understand each other, most of the time. But on the bleeding edge, when you’re talking about graphics drivers and rapidly updating libraries, those gaps can become impossible to bridge. The hardest part of the project was not doing things, but UNdoing them. Followed closely by knowing whether I had to undo them in the first place. Because I was largely operating in a space that I’m unfamiliar with, I didn’t know how to verify that I was on track until the end of the installation process. That would not have been as bad if the errors I got there had been more specific, but I was left with a diagnosis that boiled down to “One (or more!) of the 10 steps that you took is interacting with one (or more!) of your unknowable number of system configurations incorrectly” That, combined with my lack of fluency with the basic CRUD operations around drivers, made debugging by elimination extremely slow. Working through it with a friend who both had this background, plus a running system to validate against, was critical for getting mine set up. THANK YOU STAN!!! The download page is mercifully specific about which CUDA version each CUDNN option requires. I didn’t have to re-install it after moving a bunch of other things around – it really is just a few files, which you can see with the ls /usr/local/cuda-9.0/lib64/libcudnn* command. I’ve decided that I need to find a new doctor. The problem isn’t with my current doctor, who I like quite a bit, but with the entire system around her. All of the ancillary stuff, like getting a referral, moving my records, getting significant time from specialists, has been disastrous. Because moving medical records is so difficult, I figure that I need to switch sooner rather than later, because every visit with her is further investment into a system that I don’t want to be at long term. My first option is finding another MD in another medical system. That’s absolutely on the table, but there are significant drawbacks: 1) It will probably take me months to get the first appointment, and then weeks to a follow up. It’s like getting my medical advice by snail mail from England. 2) It costs at least $400 per basic appointment. Sometimes I pay, sometimes my insurance pays, but it’s certainly insane. 3) It takes at least 2 hours of my time for 15 minutes of actual doctor time. To be clear, I believe in medical science, in the sense that I don’t think there’s any other process that reliably produces better understanding and advice on human ailments. On the other hand, doctors are not doing a complete literature review before each diagnosis. They’re listening to me for about 7 minutes, glancing through my medical record, and coming up with their best guess on the spot. They don’t submit a case study document with citations for peer review, and they don’t necessarily follow up after a week for detailed feedback on their treatment’s impact. While medical school was absolutely based on science, but the actual clinical process simply doesn’t allow time for an hypothesis-experimentation-analysis cycle. So I have the highest respect for doctors and medical researchers. The problem is in the business. With the exception of some specific chronic diseases like diabetes, the model is designed for point diagnosis, not to work with patients over time (especially not with their active participation). That is why I started considering (emphasis on considering) other options. For what it’s worth, I’m hardly alone: about 1/3 of American adults were actively using a Complementary/Alternative Medicine technique according to the NIH (though it’s worth noting that they’re grouping together things like “Deep Breathing” and “Meditation” with “Chiropractics”). So I’m doing some research into nutritionists, naturopaths (UPDATE: no), and anything else that people might find valuable. Email me if you’ve got ideas or personal experiences in this space! UPDATE: I’m getting particularly interested in finding people who are more like guides than experts. A loose example would be a fitness guide, who might give their client some suggestions, some things to read, and check back in on a weekly basis. At the outset, they can’t know what will work, but by pairing objective research with the client’s ongoing results, they help iterate towards the right solution. Most of these people are focused on weight loss, though, not sure how to find anyone who helps with anything else! UPDATE 2: I’ve looked into dieticians, with mixed results. But I’ve scheduled an appointment with the one who seemed most scientifically grounded.